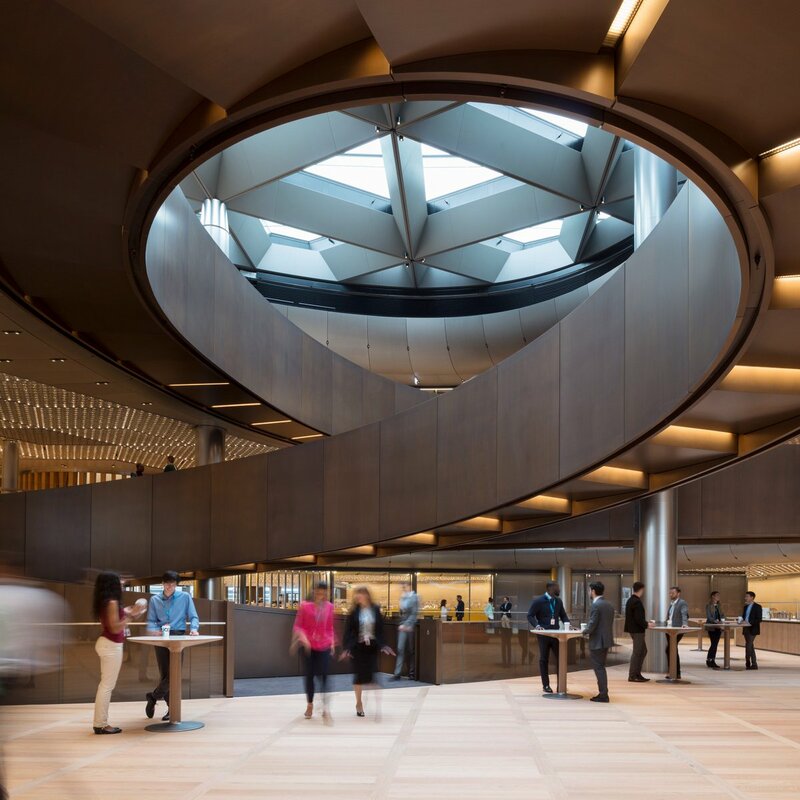 Conceived in collaboration with Foster + Partners, the building is the first wholly owned and designed Bloomberg building in the world and brings Bloomberg’s 4,000 London-based employees together in a dynamic, innovative workplace designed to inspire collaboration and to push the boundaries of sustainable office design. The building achieved an ‘Outstanding’ rating against the BREEAM sustainability assessment method, with a 98.5% score. This is the highest design-stage score ever achieved by any major office development and recognizes the development’s innovative environmental strategies, which deliver a 73% saving in water consumption and a 35% saving in energy consumption compared with a typical office building.